Protesters against the cinema proposal at the Portland Park site earlier this month. A major player from the industry will have expressed interest in running the proposed new cinema in Ashington by the end of next month, it is hoped. Michael Black, from Northumberland County Council’s development company Arch, revealed the next steps for the Portland Park project at Wednesday night’s Ashington and Blyth Local Area Council. “We are here to promote and get the very best for the site,” he said. The company’s board has approved £150,000 to progress the scheme with a high-quality prospectus to attract operators due to be completed this month ahead of ‘establishing formative interest’ by the end of June. Arch is also progressing an outline planing application for a mixed-use development featuring a cinema, retail and dining outlets. A report by a consultant specialising in the cinema sector concluded that ‘with a carefully considered business plan, Arch should be able to engage with operators to provide a sustainable, high-quality cinema operation’. However, ‘if Ashington is unable to attract a recognised national operator, the development of a cinema-led scheme on Portland Park will not be commercially viable’. The update was brought to the local area council meeting due to the 1,100-name petition calling for action on the ‘hole’ left in the town centre since the new Conservative administration cancelled the new council HQ on the site after seizing power last May. A protest took place earlier this month to mark the anniversary of it being ‘abandoned’, where the main themes were scepticism about the cinema proposal and a call for a development which would create more and better jobs for Ashington residents. Resident Graeme Wright pointed out that Ashington has a population of 28,000 so the public consultation has involved just two per cent of residents. He added that attracting town-centre jobs was very difficult, even in cities, but that the cinema proposals would act as ‘a catalyst for further development’ and generate increased footfall, particularly in the early evening. Another resident, Susan Lonsdale, asked about transport links, particularly if the aim is to build an evening economy in the area. Mr Black said that it was key to the development and that Arch would work with Arriva on the necessary bus services, adding that the North of Tyne devolution deal and its implications for the Ashington, Blyth and Tyne line was very positive. Coun Jeff Gobin asked how all this sat with the Tory pledge to scrap Arch. 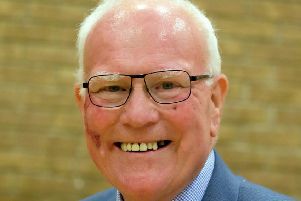 He was told by Coun Richard Dodd, the council’s business chairman, that a report will be coming to cabinet imminently and that the company will be retained, but rebranded and with a narrower focus on regeneration within the county.